Veteran Tamil character artist V S Raghavan, who had acted in more than 1,000 films, today died of pancreatic cancer here, his family said. He was 90. "He passed away at around 5.40 pm in a private hospital here and the last rites and cremation will be held tomorrow," Raghavan's daughter-in-law Janaki Srinivasan told PTI, adding that the veteran was battling pancreatic cancer. Raghavan is survived by two sons and his wife predeceased. 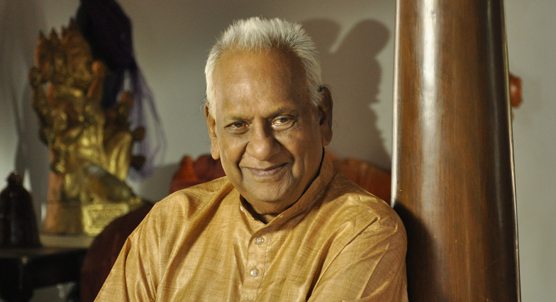 Noted for his unique style of dialogue delivery, Raghavan debuted in Tamil film industry with "Vairamalai" in 1954 and went on to act in more than 1,000 movies. His voice is one of the most imitated by mimicry artists and that would speak volumes of his unique style. 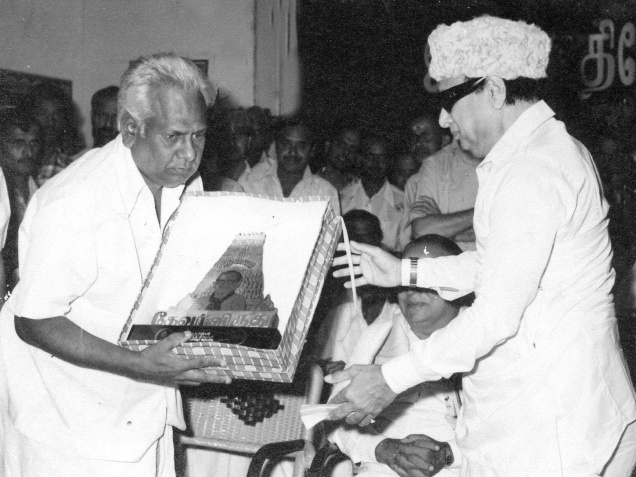 He has acted in several films by Tamil icons M G Ramachandran and Sivaji Ganesan. Along with his friends, he started a drama troupe Indian National Artistes (INA) in which veteran film director K Balachander was also a member. Later, he came to cinema. "Pallandu Vaazhga", "Neethiku Thalai Vanangu", "Savale Samali", "Iru Kodugal" were some of the films in which he played good roles. V. S. Raghavan in "Karnan"
It is very rare to find an actor who had a good fan-following among today's generation. The actor's most recent performances were in the films 'Idharkuthane Aasaipattai Balakumara' and the Chimbudevan-directed 'Oru Kanniyum Moonu Kalavaanikalum'. However, his short role in the 'Prayer Song' for 'Idharkuthane Aasaipattai Balakumara' turned out to be one of the most popular appearances for the actor in recent times. "Azhagu Raja" was his recent movie which released in 2013 with Karthi in the lead. AIADMK chief Jayalalithaa among others condoled the death of the actor. Tamil Cinema has lost an actor who brought a smile upon his appearance on the screen. Kollyinsider pays its condolences to this legendary actor. May he rest in peace!